SaaShr (a Kronos company) is launching an educational series of videos to help small and medium sized organizations navigate a wide range of business issues they face in managing their employees. I wrote about some of the trends facing SMB organizations in a recent article I did for the Huffington Post. Having been in the technology industry for over 30 years, I’ve had a lot of experience in deploying technology solutions in everything from 50 person companies to the largest companies in the world. One thing I’ve learned is that smaller doesn’t necessarily mean less complex. If anything, smaller companies may need even more sophisticated tools to support their lean operations. 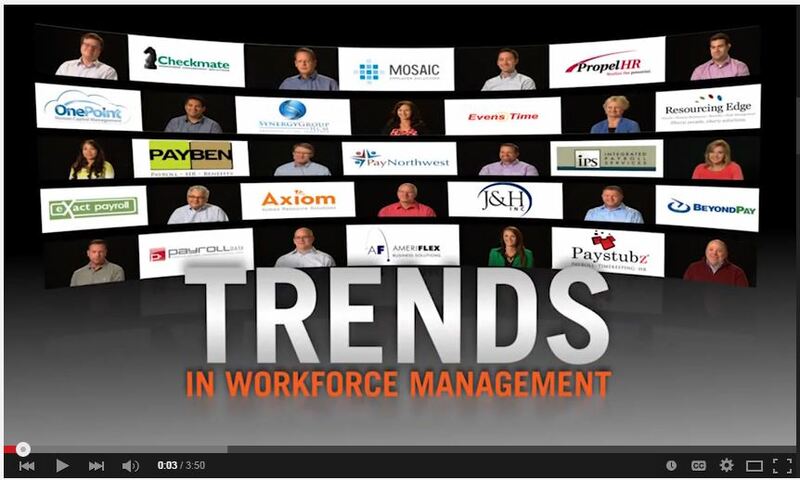 The Workforce Trends video series will feature an array of workforce management experts who deploy solutions for their customers every day. From the Affordable Care Act to mobile, cloud, big data and outsourcing, these experts have already “been there and done that”. You can tune in here to check out the first video in the series, with advice on what SMB organizations need to know to be in compliance with the Affordable Care Act.